Find out more about this pass here. The 2019 Streaming Media Expo is your opportunity to develop a short list of streaming media technology and service providers that can help you overcome your online video challenges. 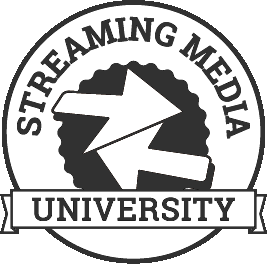 At Streaming Media East, you’ll gain exclusive access to the world’s leading companies who are forging a path to a new era of digital media. Our expo hall is designed to be a meeting and gathering place for attendees, speakers, and industry experts. Here you can share ideas, seek advice, and mingle with your friends, colleagues, and thought leaders in the industry. Access to the Expo is included in all pass options. Tuesday, May 7, 2019 | 8:00 a.m. – 6:00 p.m.
Wednesday, May 8, 2019 | 8:00 a.m. – 4:00 p.m. Registration will be located on the 2nd Floor Promenade of the New York Hilton Midtown and may be accomplished during the following hours. Monday, May 6, 2018 | 8:00 a.m. - 6:30 p.m.
Tuesday, May 7, 2019 | 8:00 a.m. - 6:00 p.m.
Wednesday, May 8, 2019 | 8:00 a.m. - 4:30 p.m.
Complimentary press registration is available to persons, such as reporters, editors, and correspondents. For more information see the Press Page. Cancellations received on or before April 5, 2019 will receive a full refund minus a $100 processing fee. There will be no refunds for cancellations made after April 6, although you may substitute another person in your place. Information Today, Inc. is dedicated to providing an enjoyable conference experience for all participants. Please review our Code of Conduct prior to the event. Information Today, Inc., the organizers of Streaming Media East 2019, reserves the right to make necessary changes in this program. Every effort will be made to keep presentations and speakers as represented. However, unforeseen circumstances may result in substitution and/or cancellation of a presentation topic and/or speaker. Information Today, Inc. assumes no liability for the acts of their suppliers nor for the safety of any Streaming Media East 2019 participant while in transit to or from this event. The total liability during the precise hours of the meeting will be limited to a refund of the registration fee. Streaming Media East 2019 is co-located with Content Delivery Summit, Live Streaming Summit, OTT Leadership Summit, and Video Engineering Summit. Access to conference sessions is subject to pass type selected.